Derek Jeter did not need a “walk off single” in his final at-bat in Yankee Stadium to confirm his status as an all-time great. However, this storybook ending to an exemplary career did get me thinking about why he is so widely revered — and what can be learned through his example. As it turns out, Jeter’s career is an illustrious case study — full of best practices for personal branding (these lessons also apply in life). Following are a few. Be authentic. Find what you love, and pursue it with passion, focus, and discipline. It’s really that simple. Other players have had more talent than Jeter, but few with his talent played with such enthusiasm, determination, and integrity. And even fewer have five World Series rings. 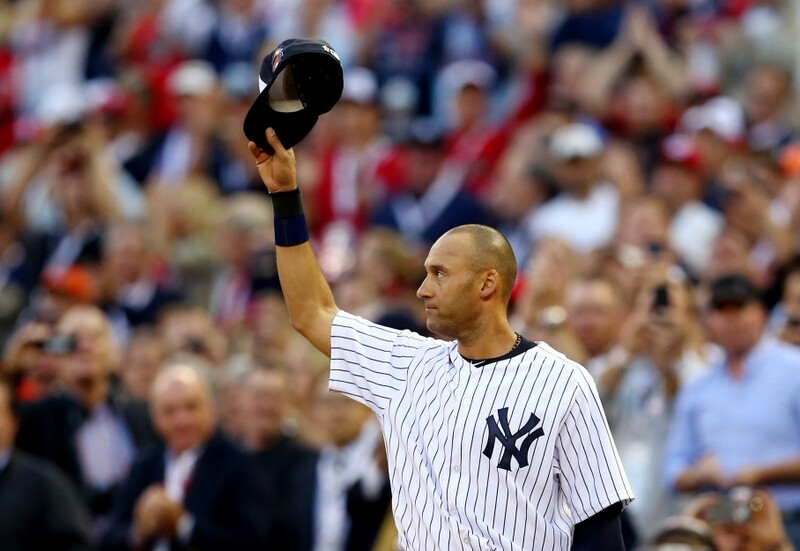 Every day Jeter played, he played as hard as he could — and he played with respect for the game. He wasn’t playing just to succeed — he was playing because he loved the game. And the results were often miraculous. Be consistent. Derek Jeter was dependable. He consistently met and exceeded our expectations as a professional ball player, both on and off the field — through exceptional at-bats, magnificent infield maneuvers, and stunning sportsmanship. While “Mr. November” always seemed to be at his best during the post-season, he consistently put his best effort forward no matter how seemingly small the stakes were — or how dire the competitive situation. He seemed to never give up. Just watching him play led this Yankee fan to believe that anything is possible. Remain humble. What I remember most about Jeter’s post-game interviews through the years is that he always gave credit to his teammates, recognized the strengths of his opponents, and never gloated. He realized that his success was dependent upon the success of others, and gave thanks as appropriate. Don’t get complacent. We can learn from Jeter’s decision retire as a professional ball player while he was still strong. He could continue to play, but he choose not to. He did not allow himself to become smug. It takes foresight to see when a chapter of our lives is ending, before it’s too late and circumstances force us to see it — when our options are significantly more limited. Give back. In 1996, when Jeter was named Rookie of the Year, he started his Turn 2 Foundation, whose mission is to create and support signature programs and activities that motivate young people to turn away from drugs and alcohol. The foundation has given more than $19 million in grants to programs in New York City, West Michigan and Tampa, Fla. Jeter did more than give money; he gave his time. The captain was the recipient of the 2009 Roberto Clemente Award, given annually to a major league player who combines community service with excellence on the field. In my mind, what truly makes Jeter a legend is how he brought out the best in his teammates and opponents. And that’s what leaders — and legends — truly do. So discover what you enjoy doing, and do it with zeal, discipline, consistency, and purpose. And remember to be thankful to those who helped you, repaying them by lending a hand to others. If you’re lucky, the “ghosts of Yankee Stadium” will be on your side. What do you think? Are there other branding lessons do you see in Jeter’s career as a professional athlete? Please share your thoughts with me in the comments below.